So by now you should have made your way though the first episode of The Last Stand to freedom. But Alas, while on the way to a military base, a medic treating a patient onboard realizes that his patient is dead seconds before the zombie kills him and the pilots, causing a catastrophic crash of which you are the sole survivor. After a month hiding in a hardware store, you hear a radio broadcast stating that the surviving military and civilian forces are calling all remaining survivors to a coastal city in order to save as many lives as possible before abandoning the mainland to the undead and taking to the seas. You have one month to travel across the state before the ships leave. New game features include the ability to set traps, search individual buildings for survivors and gear, and travel between individual cities. O and be Careful… some of these guys.. carry weapons that will kill your friends. Game embedded after the break. Welcome to Zombie Month Here at theCrazySteve.com Expect Lots of Zombie Goodness. I start you off with this pretty nifty Zombie Simulator i found on the net. 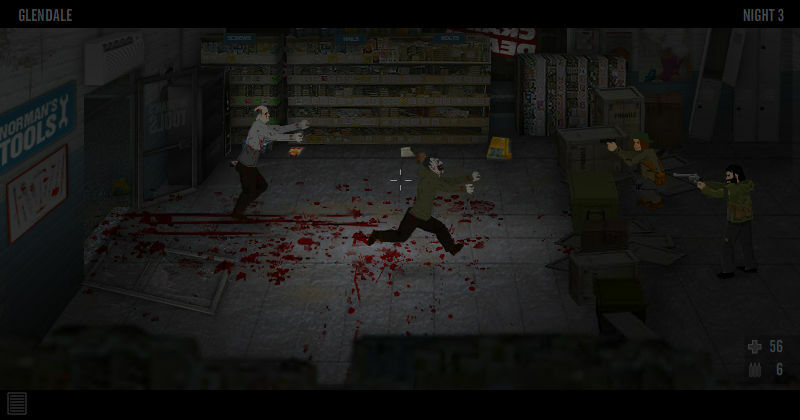 It simulates what a zombie outbreak would be like if it ever really happened.